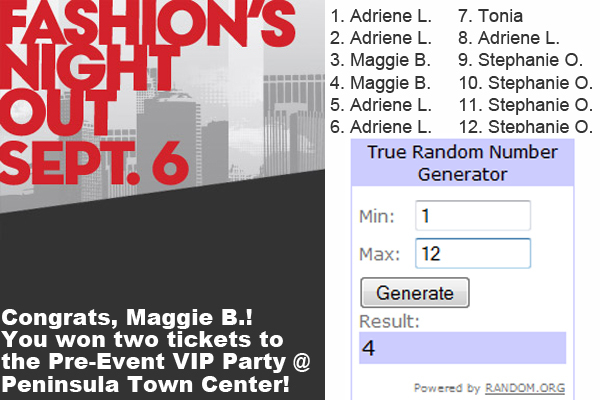 Fashion’s Night Out VIP Tickets Winner! Thanks for all your feedback on the blog redesign and for entering my giveaway last week. 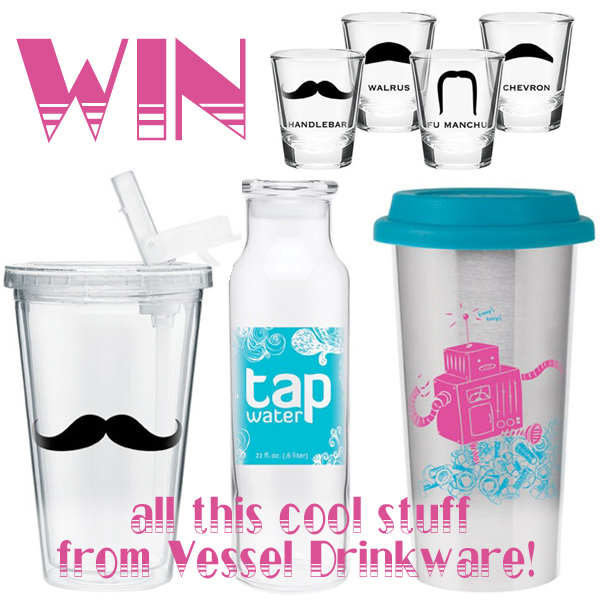 Congrats to Nicole — she won all this Vessel drinkware! Thanks to everyone else for entering, and everyone is still welcome to use my promo code (lisadenoia15) at checkout to get 15% off your purchase from Vessel through July 15. Their cups and bottles are a staple on my desk at work — I drink coffee, tea and water out of them all day long. To celebrate the re-branding and relaunch of my blog, I’ve convinced my favorite reusable drinkware company to let me give away all these lovely items to one lucky reader! 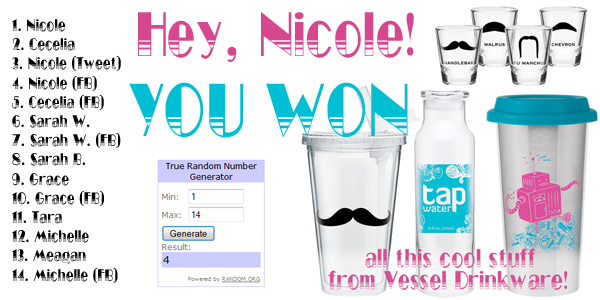 I gave away some Vessel mustache cups once upon a time over on my other blog, and it was a great success. I’m so excited that Vessel was willing to partner with me again to offer a giveaway on LDA Press, too! Vessel sent me a glass Tap Water bottle, a stainless steel Robot tumbler, an acrylic Mustache tumbler, and — my favorite — a set of Mustache shot glasses. 1. Tweet about the giveaway to me (@lisadenoia) and Vessel (@loveonevessel), and tell me you did in a comment on this post. 2. Post about the giveaway on Facebook, and tell me you did in a comment on this post. 3. Blog about the giveaway, and tell me you did in a comment on this post. The giveaway starts now, and ends Tuesday, June 19 at midnight EDT. I’ll use a random number generator to choose the winner. Oh, and definitely check out Vessel’s website for some awesome earth-friendly and stylin’ drinkware. If you decide to buy anything, use coupon code lisadenoia15 at checkout to save 15% on your purchase now through July 15! 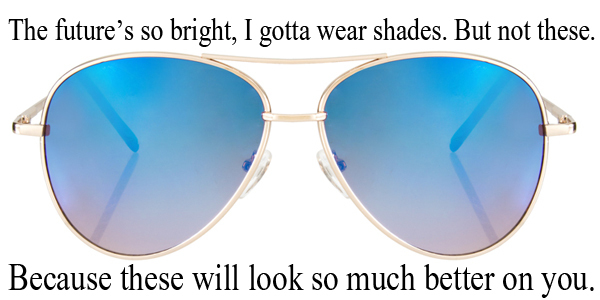 Just a quick FYI/disclaimer: This is not a sponsored post. I just love Vessel’s products, and I asked them if they’d like to give some cups away for you guys. They sent me the ones pictured above, and I’m giving them all away to one lucky winner. You must be have a U.S. mailing address to enter.